Ah October at last and can I just say it's my favorite month out of all of them. I will" and after three weeks I finally decorated the mantel and had a happy daughter. 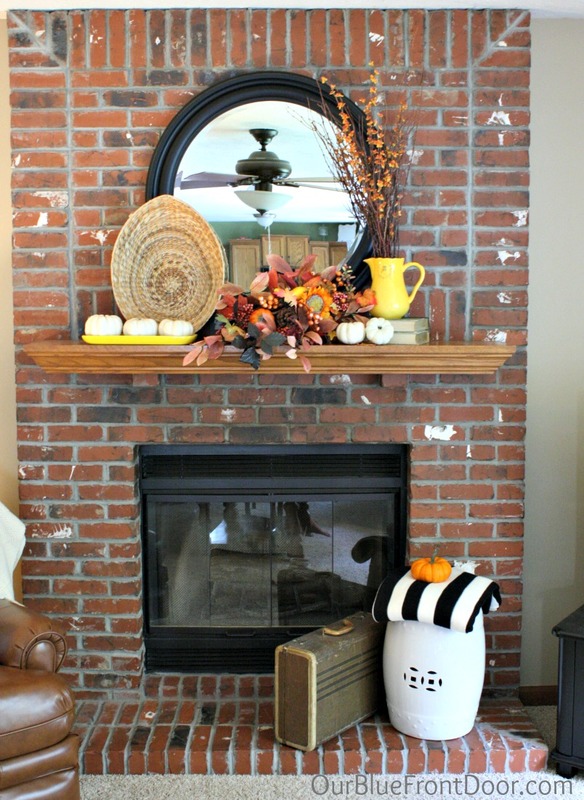 mantel that I wanted to keep it simple and not spend any money. I used what I had on hand and a little creativity. White pumpkins seem to be all the rage this Fall. books to add height to any display. Cheap and easy trick. 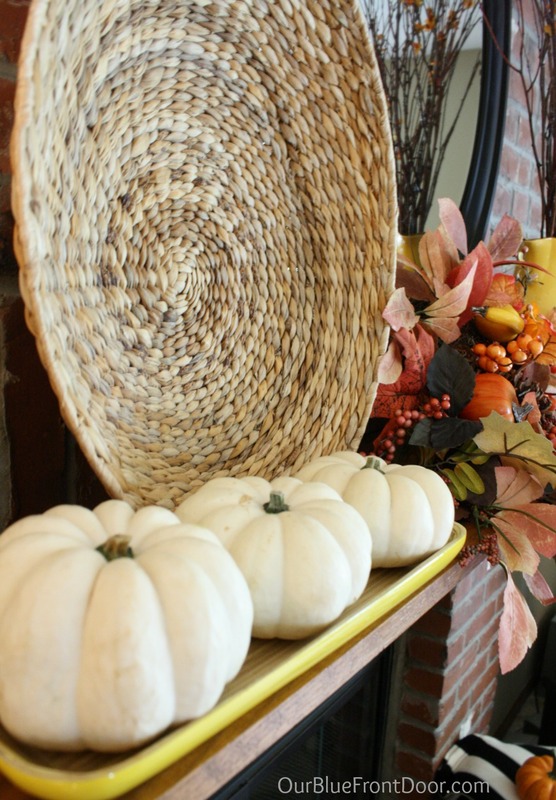 my mantel for Halloween or leave it as is for Thanksgiving? same throughout the year besides maybe Christmas? Very nicely done! 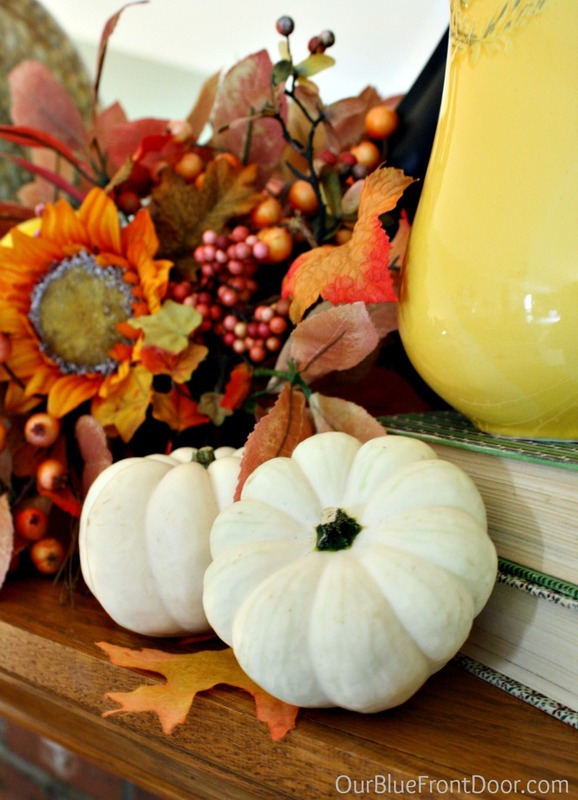 I like the height of the sticks and the white pumpkins but you have the pops of color too! I change out decorations for every holiday/season. I have had my fall decor up since mid-September (adding bits and pieces) but will change out for Halloween on October 3 (that is 4 weeks exactly before the holiday) and will then change for Thanksgiving within a day or two after. I'm not a big fan of Halloween, but I do some jack-o-lanterns (instead of just pumpkins) and I also add few spiders/bats/skulls type of things too. 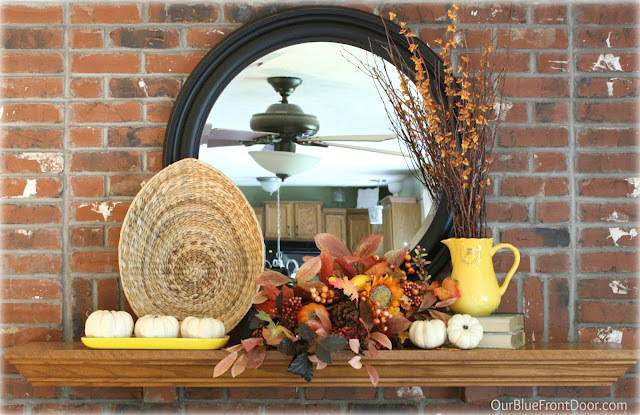 Your mantel looks so nice! I love all the white pumpkins and the old suitcase is awesome! You did a great job Andrea.